If you thought the region got off easy this winter, you’d be right. And you can thank El Niño. El Niño affects weather worldwide by changing the way air circulates in the atmosphere. El Niño is a weakening of eastward blowing winds over the Pacific Ocean creating warmer than normal water in the eastern Pacific Ocean near the equator. 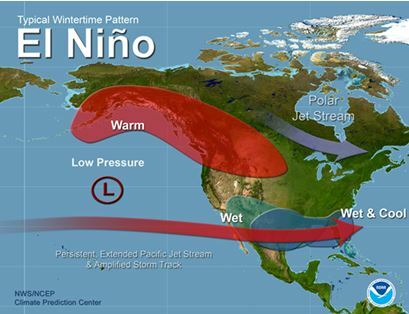 El Niño tends to keep the polar jet stream—and cold arctic air—farther north and out of the Miami Valley. 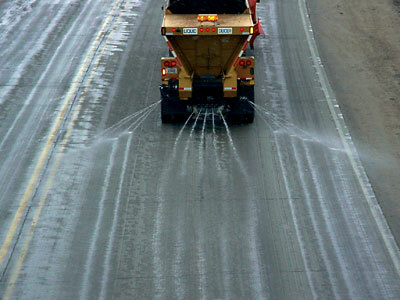 It also tends to shift the Pacific jet stream—and winter storm systems—to our south. Together these patterns tend to produce warmer and drier winters locally. Average monthly temperatures for January through March were well above normal, according to the National Oceanic and Atmospheric Administration (NOAA). Dayton saw above-normal daily average temperatures all three months. 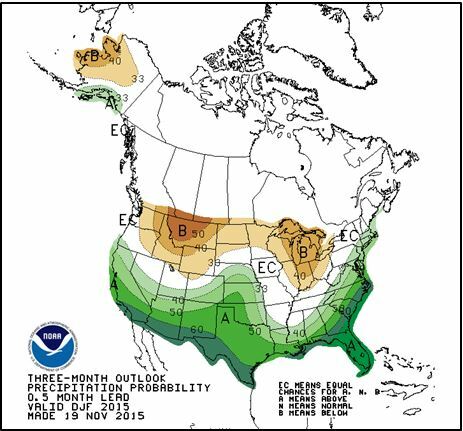 This is exactly what we expect during an El Niño winter. The 2016 winter was the 10th warmest recorded for this region, dating back to 1895. Precipitation was near normal, with an average of 8.94 inches in the Miami Valley. That’s 0.87 inches above normal. January and February precipitation were below normal, but March was above normal. 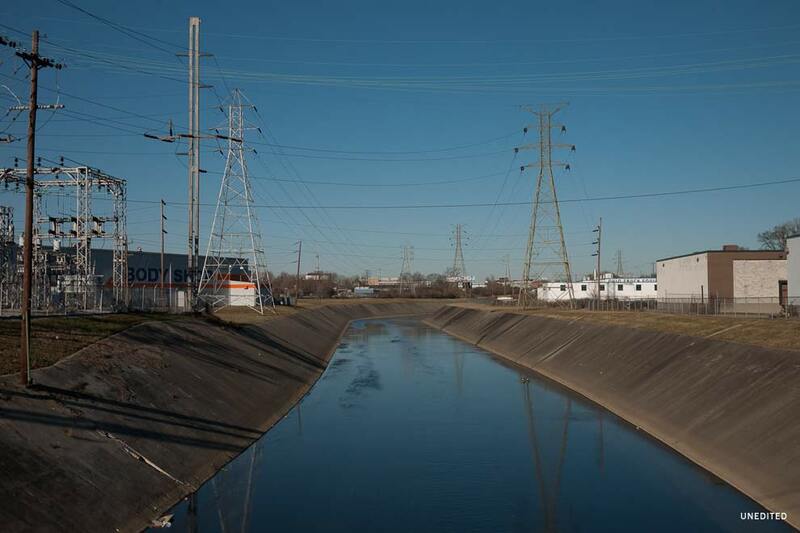 So winter 2016 brought more precipitation than expected for an El Niño winter. It’s anyone’s guess as to why precipitation was greater than expected. Other factors besides El Niño influence local weather. Sometimes the random nature of weather is beyond our ability to predict. La Niña on the way? While El Niño 2015/16 was one of the strongest ever recorded, it’s weakening. Most climate forecasts predict it will end during late spring or early summer and will eventually change over to a La Niña phase. Some forecasters expect that shift this summer. 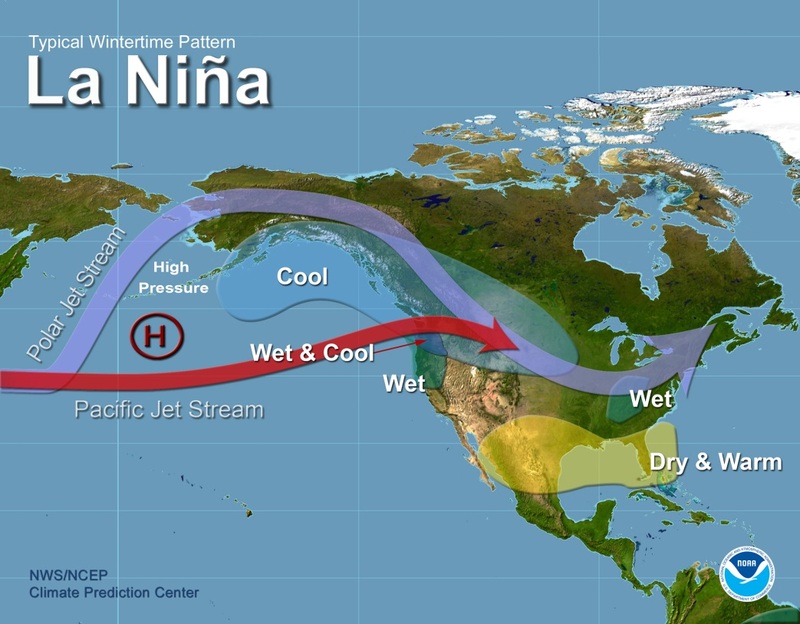 It’s too early to tell how La Niña conditions in the Pacific Ocean will shape our next winter. Stay tuned. 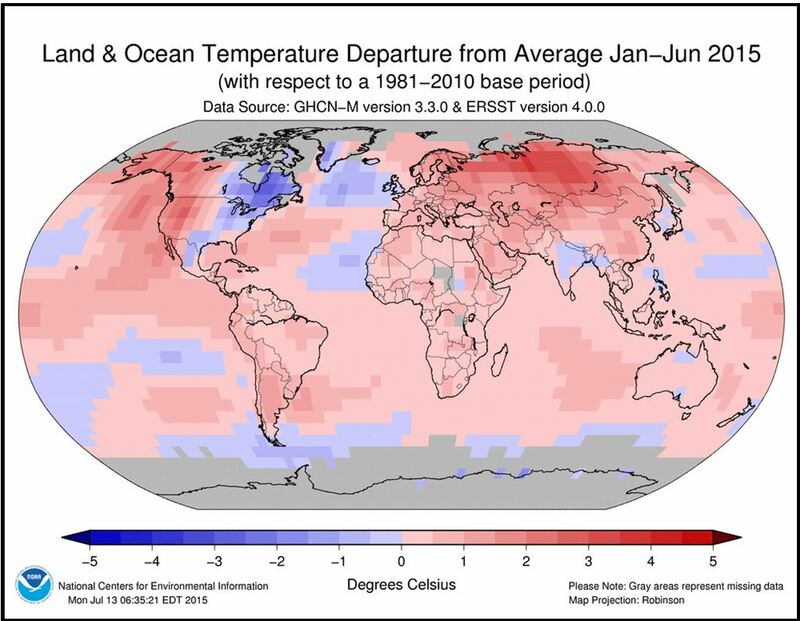 According to the National Oceanic and Atmospheric Administration (NOAA), June 2015 was the warmest June ever from a global perspective. The combined average temperature over global land and ocean surfaces was the highest ever measured for the 136 years in which records have been kept. The combined average temperature across the world’s land and ocean surfaces was 0.88 °F above the 20th century average. In fact, the first six months of 2015 comprised the warmest six-month period on record across global land and ocean surfaces at 1.53°F above the 20th century average. This might seem surprising to Miami Valley residents because we experienced cooler than normal temperatures. The first six months of 2015 were cooler than normal across most of eastern North America, probably due to several southern invasions of the polar vortex which brought cold arctic air into eastern portions of Canada and the United States during the winter of 2015. In addition to tracking temperature, NOAA also tracks precipitation globally. Precipitation in June was highly variable, but much of eastern North America received precipitation in the normal to twice-the-normal range for the month. The Ohio River Valley, the eastern portion of the Lake Erie Basin, and the Mississippi River Valley in Illinois and Iowa were particularly wet. Much of this region received 5 to more than 10 inches of precipitation in June. 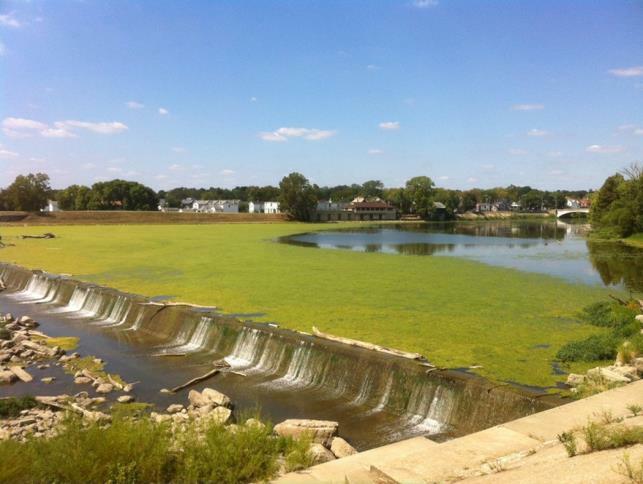 Flooding occurred throughout portions of northwest Ohio, northern Indiana, and Illinois. 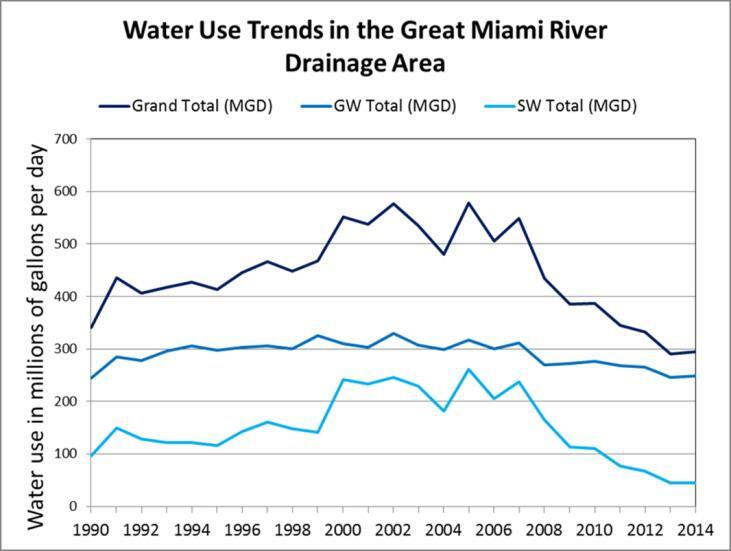 MCD tracks precipitation in the Great Miami River Watershed. MCD’s records show June was a very wet month in the Miami Valley as well. Monthly precipitation at MCD observer stations ranged from 5.60 inches at West Milton to 11.61 inches at Fort Loramie. Mean precipitation for the Great Miami River Watershed was a little more than 8 inches, twice as much as we would normally expect in June. Runoff for the Great Miami River measured at Hamilton was a little over 3 inches, three times the normal amount of runoff in June. MCD dams stored water on two occasions in June. Despite these numbers, June was not a record-setter locally. 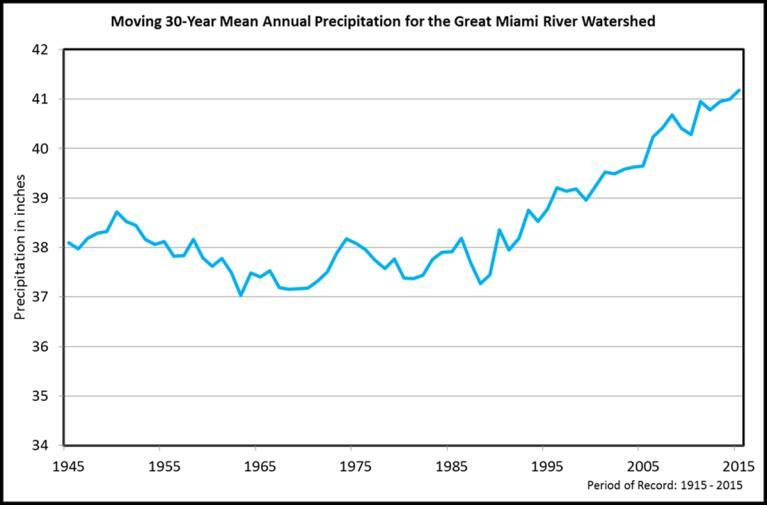 The wettest June on record occurred in 1958, when an average of 10.30 inches of precipitation fell across the watershed.